Why He's Here: Aside from the obvious aesthetic allure of watching a switch-pitcher do his work, Venditte was able to rebound from a rough start last year to become one of the bullpen's most valuable and durable pitchers. 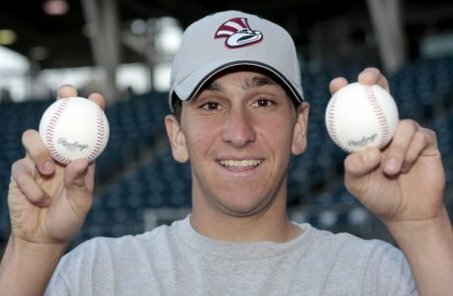 From May until the end of August, Venditte never had an ERA higher than 3.00 in any month, and pitched to a stellar 1.57 mark in May. He got lefties out to the tune of .213/.273/.309. Most Memorable Moment: Not really a moment, but a streak. From May 5 until June 9, Venditte did not allow an earned run. That stretch ended when Reading's Matt Rizzotti clubbed a game-ending home run off of him at FirstEnergy Park, in Reading. Before that bomb, Venditte had gone 23 straight innings without an earned run, and just one unearned run. He allowed 12 hits during that stretch, struck out 23 and walked nine. Outlook for 2012: There's a small chance the numbers game shoves him back to Trenton, but I think he's likely bound for the Empire State Yankees and their traveling road show.